M elanie Stuy is a mother of three, community artist, activist and educator. She is also a founding member of the Cheap Art Collective, an organization committed to accessible, collective, community art projects. Along with other members of the Cheap Art Collective, she started several neighborhood traditions such as the Haunted Melrose Tunnel, Laneway Shorts (a festival of films made by kids in the neighborhood), and the annual giant puppet show at Country En Ville. Her most recent initiatives include the Art Hive in N.D.G. 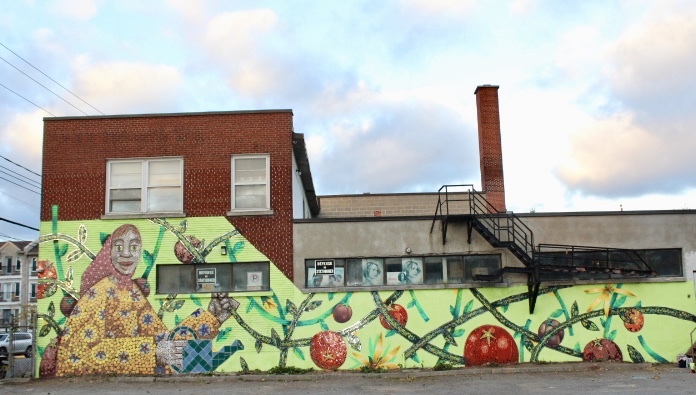 Park and the Village Des Tanneries Mosaic Mural project.